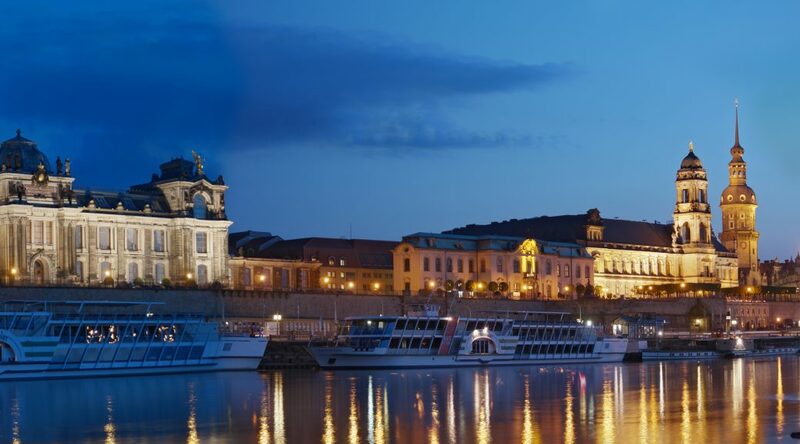 The British Embassy, in cooperation with the Deutsch-Britische Gesellschaft Dresden e.V., will host an Open Evening for UK Nationals in Dresden. Deputy Head of Mission Robbie Bulloch will give an update on the status of negotiations on citizens’ rights and what this means for you. Joining him on the panel will be a representative from British in Germany e.V (tbc). Daniel Senf (Board member, Deutsch-Britische Gesellschaft Dresden e.V.) will then chair a Q&A session, where you will have plenty of time to ask any questions you have concerning your rights after the UK exits the EU. 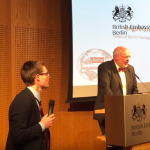 The event is primarily aimed at British citizens living in and around Dresden. Family members and friends are, of course, also welcome to attend. Doors open at 5:30pm. The event will run from 6:00pm to 8.00pm. Please note that this article refers to Brits living in Berlin; each Land authority may have slightly different procedures. British nationals living in Berlin have been reassured that an urgent registration process to secure legal status will be in place for them in the event of the UK leaving the EU with no deal. First and foremost, the German government has been emphatic in their assurance that post Brexit, UK nationals will be allowed to carry on living and working here in both deal and no deal scenarios. An Information Evening was held in Berlin on 18th December, hosted by the British Embassy and addressed by Sir Sebastian Wood, British Ambassador, Jane Golding, Co-Chair of British in Europe and Chair of British in Germany, Engelhard Mazanke, Head of the Berlin Foreigners’ Registration Office (Ausländerbehörde), and Christoph Wolfrum, EU Policy and Strategy Unit of the Federal German Foreign Office (Auswärtiges Amt). Christoph Wolfrum explained how the German government is preparing for both deal and no deal scenarios. In the case of a deal and ratification of the proposed Withdrawal Agreement, Germany plans to have an application or constitutive system. This means that British citizens will need to apply for the relevant status, subject to the conditions and provisions set out in the Withdrawal agreement. However, during the transition period planned to last until at least 31 December 2020 our status (other than voting rights) will remain as it is now. That’s all dependent on some form of Withdrawal agreement being agreed. Following on from the European Commission´s Contingency Action Plan published on 13 November, the German government is now starting to put its no-deal plan together. Part of that is to introduce measures to ensure UK nationals in Germany can continue to live and work here legally after 29 March 2019. 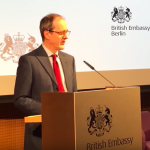 Mr. Wolfrum explained that, in the case of no deal, a ministerial decree would be adopted and British citizens would have a three month transition period post March 2019 during which they would be exempt from needing whichever new status would ultimately apply to UK citizens in Germany. UK citizens would need to apply for the new status with applications to be processed by end 2019 latest – it is not yet clear what that would be but it would be a third country national status, given Brexit is taking us out of the EU. Engelhard Mazanke, Head of the Berlin Foreigners’ Registration Office, set out what process the State of Berlin is planning for UK nationals resident in Berlin in case of a no-deal. In January 2019 his office will be launching an online system to provide for voluntary “registration” on the Ausländerbehörde website. Based on that registration the Ausländerbehörde will then issue a certificate confirming that the individuals were resident in Berlin before March 2019. What is British in Germany doing now? 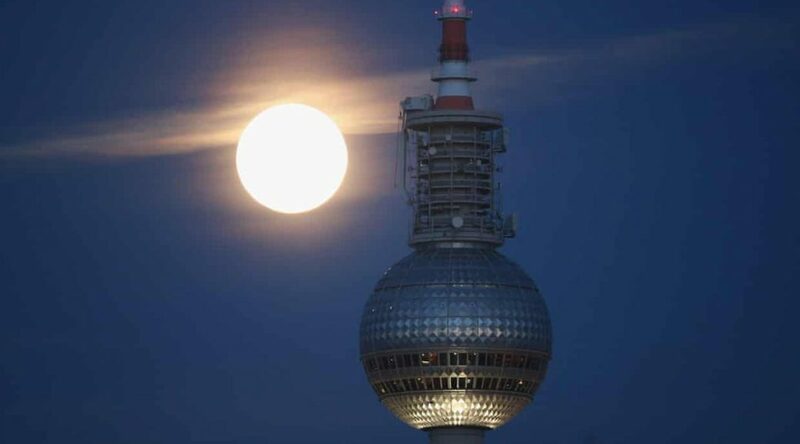 The British in Germany team is currently seeking clarification on a number of questions raised by the Berlin proposals, as well as the proposals outlined by the Auswärtiges Amt. The proposals on the process described above only apply to Berlin but we are also seeking information on what other Länder are planning. In addition, British in Europe/British in Germany together with the3million, have already requested meetings with both the Brexit team in the Auswärtiges Amt and the office of Heiko Maas (Foreign Minister) for early January in anticipation of more public information about Germany’s plans and we have been informed that both offices will propose dates shortly. More information on this website as soon as we have it. Here´s the video link with all the speeches given that evening. Jane Golding speaks from 27:10. 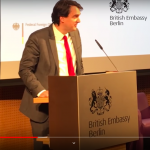 Mr Wolfrum from the German Foreign Ministry (which has a steering role in the Brexit process in Germany) starts speaking at 19:09 and Mr Mazanke, Head of the Foreigners´ Office of Berlin, speaks from 39:00 onwards. We will continue to work for the rights of UK citizens living in Germany and do all we can to keep you across the changes that will affect our lives in the coming months and years. Please, if you are able, support our work here, or consider giving membership to BiG as a Christmas gift at this critical moment in all our lives. Best wishes and a very Happy Christmas. Adam Takar, one of the British in Germany Interns, reports on the recent InfoAbend in Bremen. 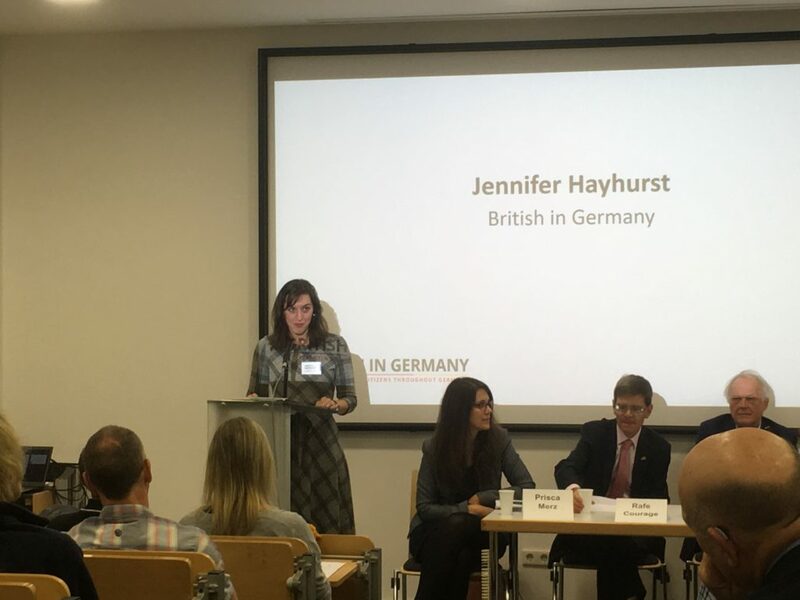 Last Tuesday, the British Embassy held a citizens’ info event in the Bremen Chamber of Commerce with British in Germany e.V. and the Migrationsamt. The night kicked off with drinks and discussion, where Brits got to meet and get to know each other. Although Daniel and I arrived late thanks to a sudden train cancellation (so much for the famed German efficiency), Daniel Tetlow nevertheless made up for it with a well-received speech. 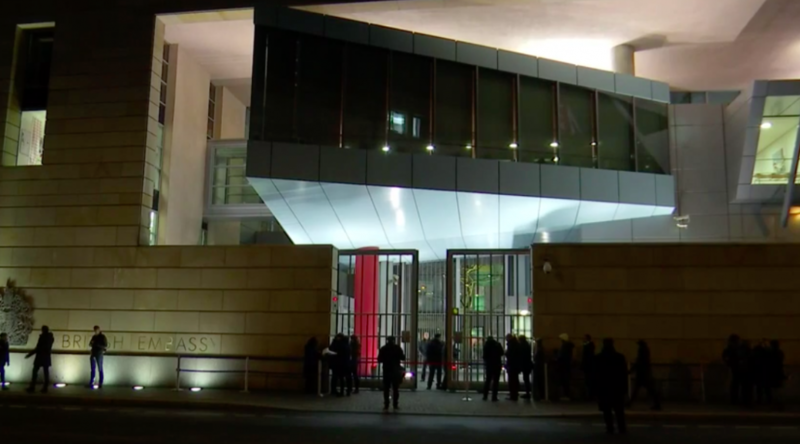 The Embassy, though their hands are still tied, could not offer much in the way of any new information or reassurance beyond the same line they have been towing over the past few months; that they are unsure of what will happen in the event of a no deal, and that they can only provide guidance on what should be done as stated in the draft Withdrawal Agreement. Daniel Tetlow, co-founder of British in Germany e.V. talking alongside British Honorary Consul Ubbo Oltmanns, Robbie Bulloch, British Deputy Head of Mission and Prisca Merz, Regional Consular Policy Advisor Germany, Austria. Fortunately, despite it being last minute, I was asked to speak too during BiG’s speech, making up for the fact I was not able to as part of the mass lobby on the 5th. I’d never done anything quite like this before, so was a little shaky getting up on the podium, and, though I was perhaps a little less well-versed in public-speaking than Daniel, it was a worthwhile experience to put a smile on some of the audience’s faces. A young voice has been largely missing from the Brexit debates and negotiations in Britain so far, and thus BiG offering Connie and me to actually speak in a public setting has been something we are both very grateful for. Following the speeches, came the Q&A, which focused predominantly on issues of overseas housing, what Germany’s policies will be post-Brexit day (no more information here as of when I’m writing), healthcare, voter registration and pet passports, an issue surprisingly never asked about previously. Prisca Merz of the Embassy was extremely helpful as always giving citizens an update of the current situation, but, as we can expect, not many concrete answers could really be given at the time, e.g. that economically inactive Britons in the EU will be able to claim healthcare costs from the NHS if there is a deal, and that pet passports may have new requirements in the event of a no deal etc. In short, answers tended to be more conditional than definite. Finally, for any Brits in and around Bremen, we would love to invite you to our first Stammtisch event! This will be a more relaxed evening where you can meet fellow Brits and discuss the latest developments re: Brexit. We look forward to seeing you at Loft (Bahnhofspl. 5, Bremen – above Paddy’s) from 19:30 on Wednesday 28th November. If there are any remaining questions that could have been asked, feel free to email us at info@britishingermany.org and we will do our best to try and help you. British in Germany representative Dave Hole together with the British Consulate Munich and the Deutsch Britische Gesellschaft Rhein-Neckar e.V are holding an InfoAbend in Heidelberg. The British Consulate Munich and the Deutsch Britische Gesellschaft Rhein-Neckar e.V. will host an Open Evening for UK Nationals in Heidelberg on Thursday 13 December at 6pm at the Heidelberg Stadtbuecherei. British Consul General Simon Kendall will give an update on the status of negotiations on citizens’ rights and what this means for you. Joining him will be Nicola Hayton (President of the DBG Rhein-Neckar e.V) and David Hole (British in Germany). 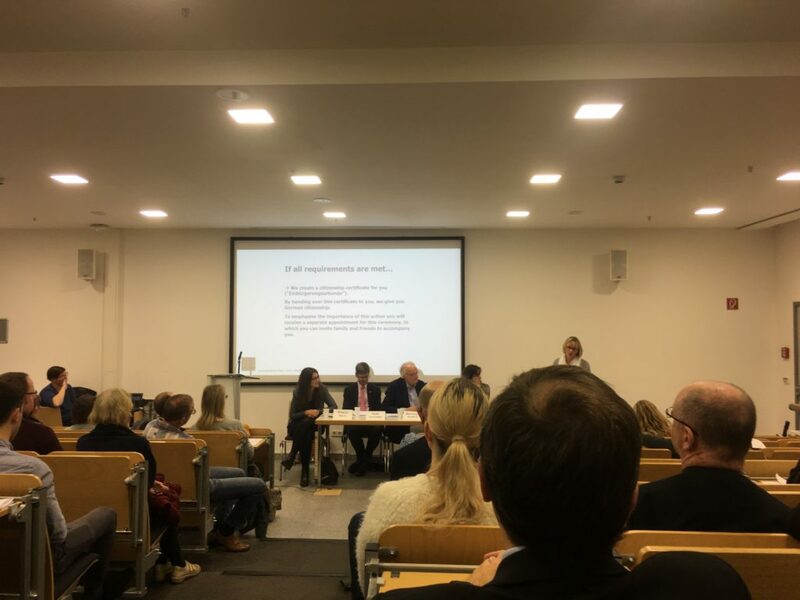 Following the opening remarks, are speakers are primarily here to answer your questions about your rights post-Brexit. 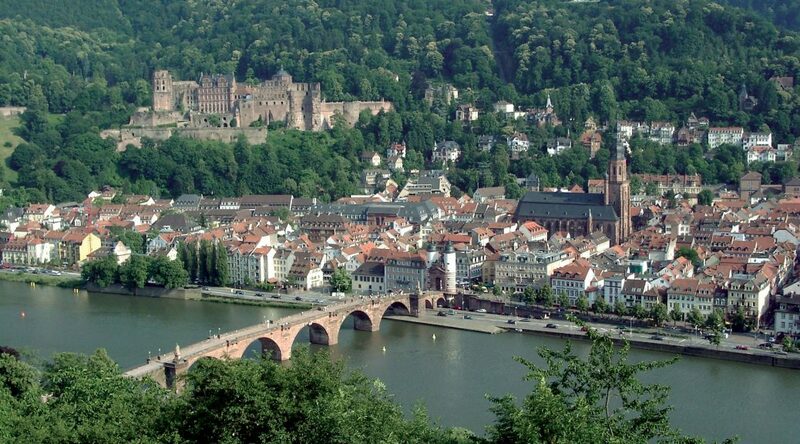 The event is primarily aimed at British nationals living in and around Heidelberg. Family members and friends are of course welcome to attend. Doors open at 5.30 pm. The event will run from 6pm to 8.30 pm. We look forward to welcoming you then. 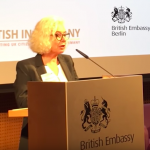 British in Germany representative Jane Golding together with the British Embassy are holding an InfoAbend in Berlin. Please join us on 18th December the British Embassy Berlin with Ambassador Sebastian Wood and the British in Germany representative Jane Golding who will give an update on the status of negotiations and what this means for you. 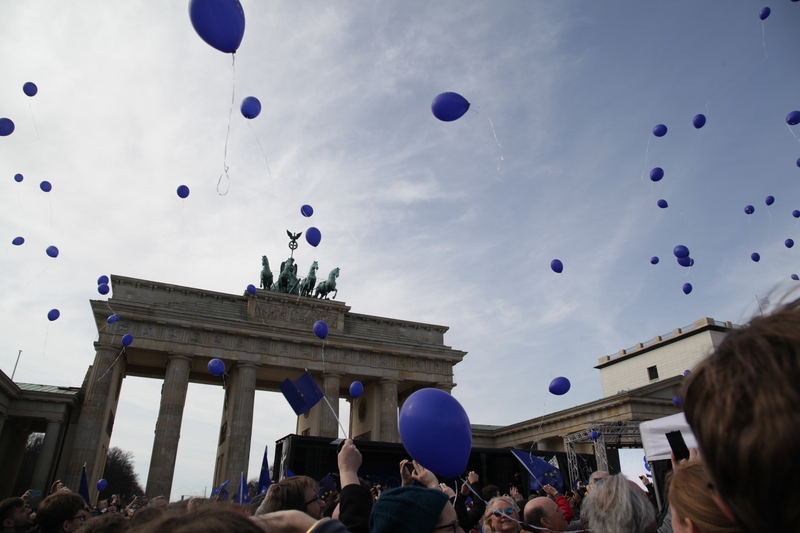 The event is primarily aimed at British citizens living in and around Berlin. Family members and friends are of course also welcome to attend. Doors open 19:00. Please make sure you bring a photographic ID. Registration via Eventbrite. This event can also be found on our Events Calendar. 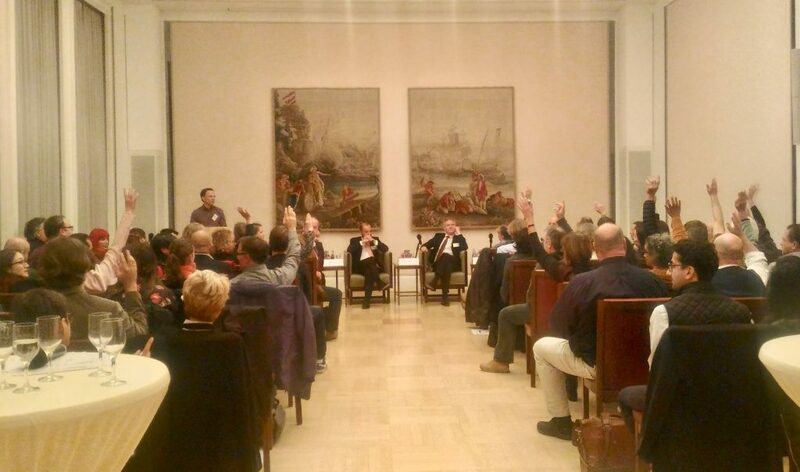 British in Germany representative Matt Bristow together with the British Embassy are holding an InfoAbend in Kiel. Please join us on 29th October at IHK Kiel with Deputy Head of Mission, Robbie Bulloch, and British Honorary Consul in Kiel, Jann Petersen, who will give an update on the status of negotiations and what this means for you. Joining the panel will be Matt Bristow from British in Germany. 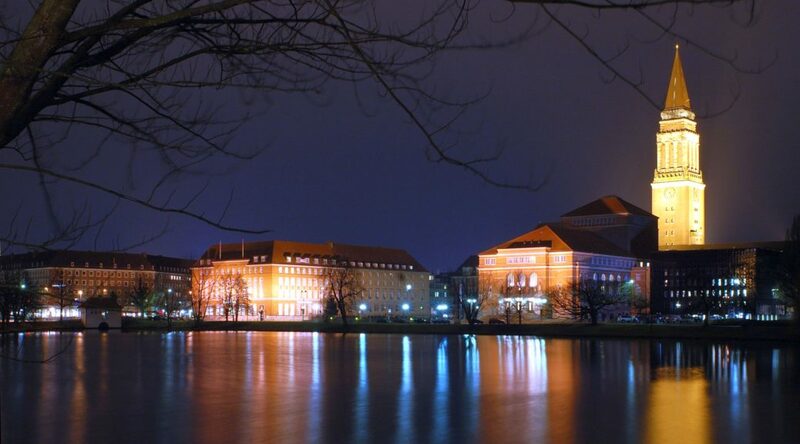 The event is primarily aimed at British citizens living in and around Kiel. Family members and friends are of course also welcome to attend. Doors open 18.00. Please register on Eventbrite. This event is also in our Events Calendar. Jenny Hayhurst will be representing British in Germany together with Rafe Courage of the British Embassy and Bernhard Nadorf the Chair of Deutsch-Englische-Gesellschaft Ruhr e.V at an InfoAbend in Essen. Safeguarding the rights of British nationals living and working in the EU remains a top priority for both the UK and the EU, and the British community in Germany are an important part of the future UK-Germany relationship. This event is primarily aimed at British nationals living in and around the Essen area, to ensure you have the opportunity to share any concerns, and ask our speakers any questions you have about your rights post-Brexit. 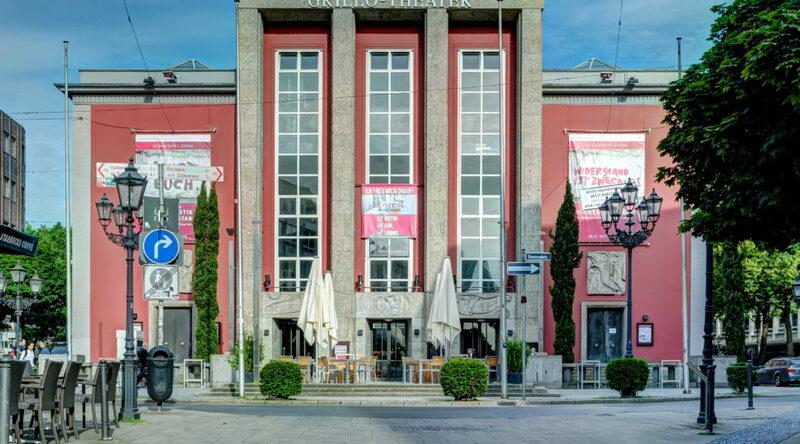 We look forward to welcoming you in Essen. Doors open at 18:30. Please register for this event on Eventbrite. British in Germany representative Daniel Tetlow together with the British Embassy is holding an InfoAbend in Bremen. 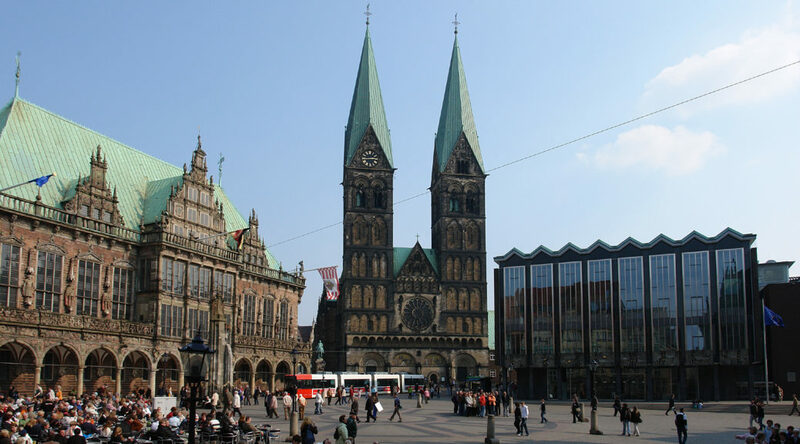 The event is primarily aimed at British citizens living in and around Bremen. Family members and friends are of course also welcome to attend. Limited spaces available. Doors open at 17:30. Please give your name when reserving your ticket as ID will be requested on the door. We look forward to seeing you! Please register to attend on Eventbrite.